“Waiting on Wednesday” is a weekly meme hosted by Jill at Breaking The Spine! As they chase storms and make new friends, Zoe tells Hannah she wants more for her. She wants her to live bigger, dream grander, aim higher. And so Zoe begins teaching Hannah all about life’s intangible things, concepts sadly missing from her existence—things like audacity, insouciance, karma, and even happiness. First of all, that cover!!! It’s seriously one of the prettiest covers out there; I am so in love! Secondly, I wholeheartedly agree with you. 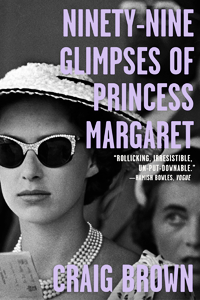 This book sounds amazing, and I do think that there needs to be more books about female friendships. Fabulous pick this week, Jen! Some people ask me why I never seem to have books with low ratings and I think it’s because I know which books I will like, and those are the ones I pick up. This one does seem like something I’d enjoy. I can’t wait until it’s released! I agree that YA novels should focus more on friendships. It’s one of the most important aspects of being a young adult, even more important than romance, in my opinion. I love books that are able to put friendships in such beautiful way. My birthday is April 27th 😛 I know what I’ll be asking for this year! The cover is what initially drew me to this novel but it sounds so good too. My favorite YA books are the ones that focus on friendship rather than just romance. The cover was admittedly the first thing that attracted my notice as well! 😉 The use of typography is fantastic and I love the soft colour palette. I completely agree with you re: the importance of friendship within the YA genre. Eeeii that name and cover! I am totally 110% down for this one. I do that all the time! There’s just too many books to keep track of 😛 Hehe. I loved The Probability of Miracles and can’t wait to read Wunder’s latest! The cover and concept look great. 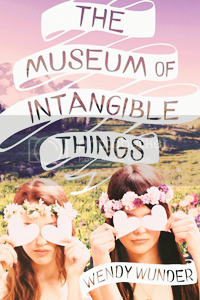 I haven’t had the opportunity to read The Probability of Miracles yet but it’s certainly on my TBR list 😀 I’ve heard really wonderful things about it, and the concept for The Museum of Intangible Things appeals to me even more! P.S. – Your blog is fabulous. Thank you so much, Dani! 😀 It’s always exciting to discover a new book we might not have heard about before so I’m glad I was able to help in that regard. An examination of simple friendship is often woefully overlooked in the YA genre, so I was very pleased when I read the synopsis for this particular novel. Hopefully it won’t disappoint! This one does sound so good. I love the whimisical cover and I’m always a fan of books that focus on friendship, too. Great pick! I would be lying if I didn’t admit that the stunning cover was what initially attracted my attention as well 😉 It’s just so pretty! All joking aside though, I really love the sound of the synopsis as well. Check out my WoW here and don’t forget to enter my blogaversary giveaway! That cover is so pretty and the book sounds good too. Nothing new, but I ADORE this cover! And the title too! It has a strange “something” in it that I want to discover. The story looks like something I’d also really like to read! Have to try it when it’s released. I completely agree, Eline! The feelings and concepts touched upon in the synopsis are universal, and yet Wunder seems to have added her own quirky, unique spin to the story that I’m really looking forward to experiencing.